For the members-only newsletter this month I wanted to write about the activities of Andrew Jackson and the Army leading up to the Battle of New Orleans. 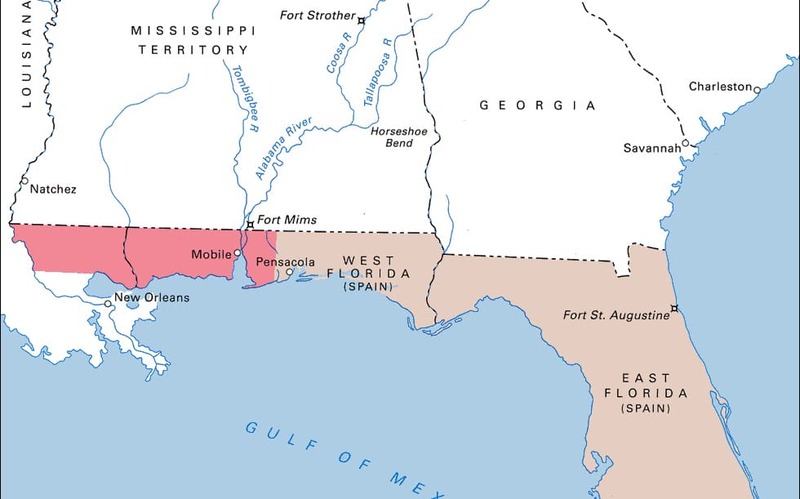 The Gulf Coast was still disputed territory with Florida being Spanish Territory and the area now the coast of Alabama and Mississippi claimed by both Spain and the US. The Hermitage owns a few artifacts related to the War of 1812, but probably the most peculiar is the unknown object pictured below. We have no information about the history of this object, except that it made its appearance in the very first LHA guidebook in 1901. 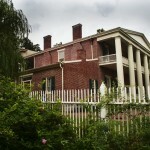 It was never listed on any of the inventories of Jackson mementoes and furnishings prepared by members of the family. This is an older view of the object with its number for the printed guidebook intact. Here is the object today. 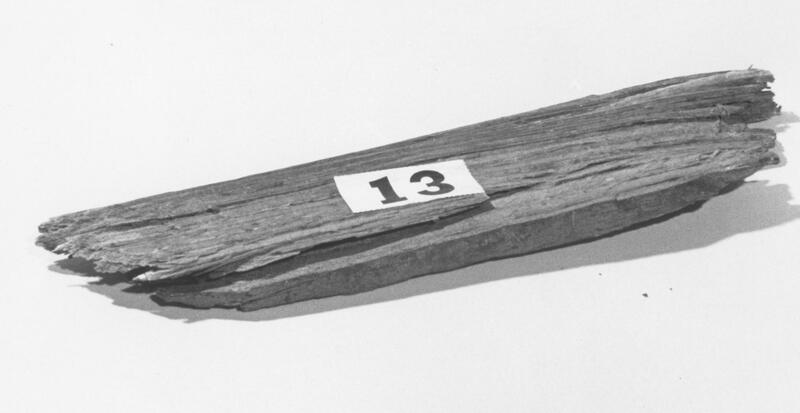 It is described in the collection records as a piece of wood from a bridge built by Jackson’s troops to cross a swamp at the head of Bayou Grande near Fort San Carlos de Barrancas in present day Pensacola, Florida. 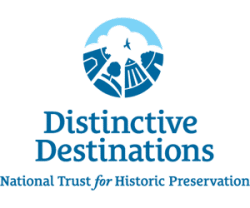 The Spanish fort on the bluffs outside of town was on the site of several previous fortifications dating back to 1698 which had been occupied by Spanish, English, and French forces in turn. A 1781 view of Pensacola and the surrounding area shows the site of an earlier version of Fort San Carlos. 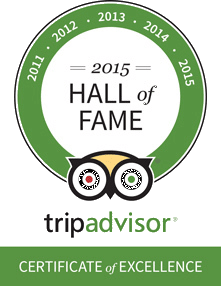 The significant thing about this object and what makes it appropriate for November 2014 is that two hundred years ago this month, British troops blew up Fort San Carlos during the Battle of Pensacola. 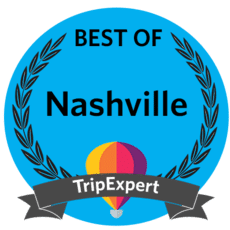 Soon Andrew Jackson would be on to New Orleans. 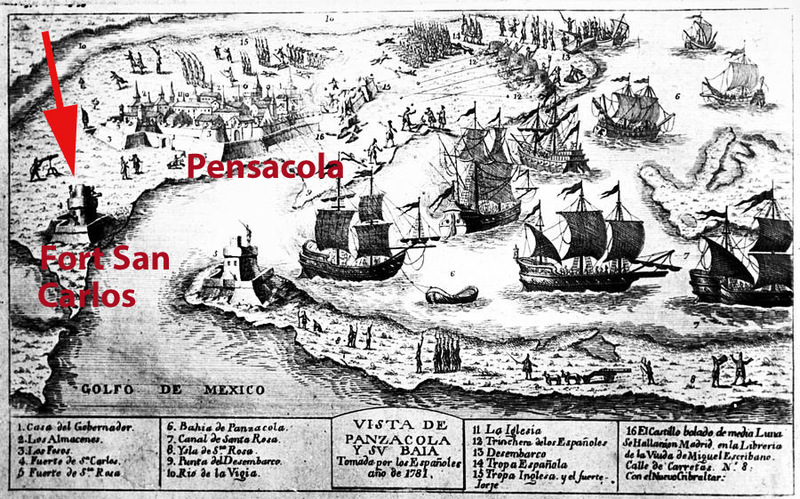 In early November Jackson and his troops approached Pensacola, then Spanish territory, because the British had established staging ground there despite Spain’s stated neutrality. 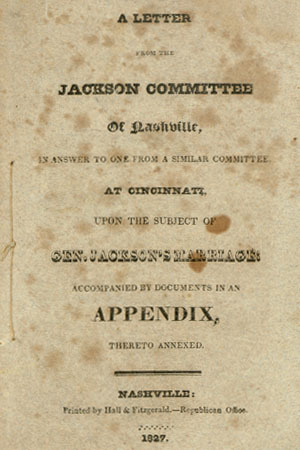 Jackson believed the British were in the process of moving to Mobile and then New Orleans. He told the Spanish governor that he would not attack the town if the Governor made the British army and navy leave but the governor, Mateo Gonzáles Manrique, refused the offer. “…I therefore demand possession of the Barancas and other fortifications with all the munitions of War. 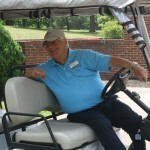 If delivered peaceably…the property, religion, and Laws of your Citizens shall be respected. 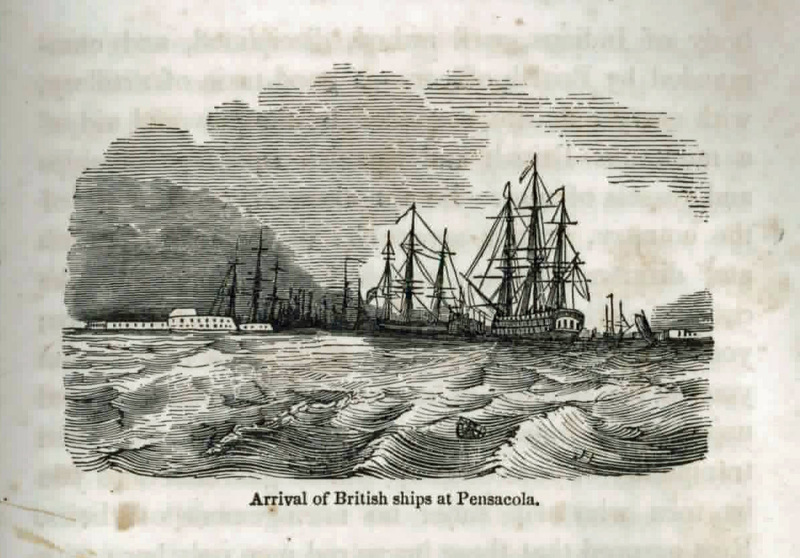 A later book illustration shows Jackson and his soldiers entering into Pensacola. 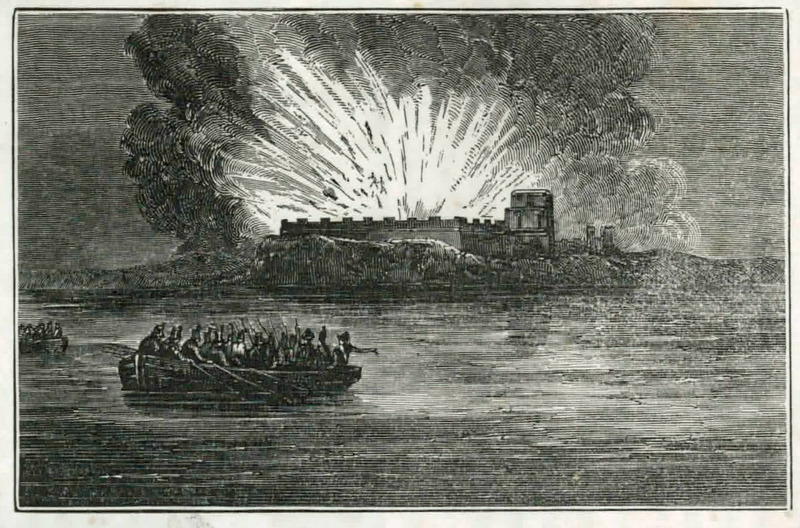 On November 7 the American troops entered the town. The governor quickly surrendered Fort San Miguel near the center of Pensacola but the British holed up in Fort San Carlos de Barrancas. Jackson planned to attack it the next day, but in the night, the British blew up the fort to prevent its capture and fled. 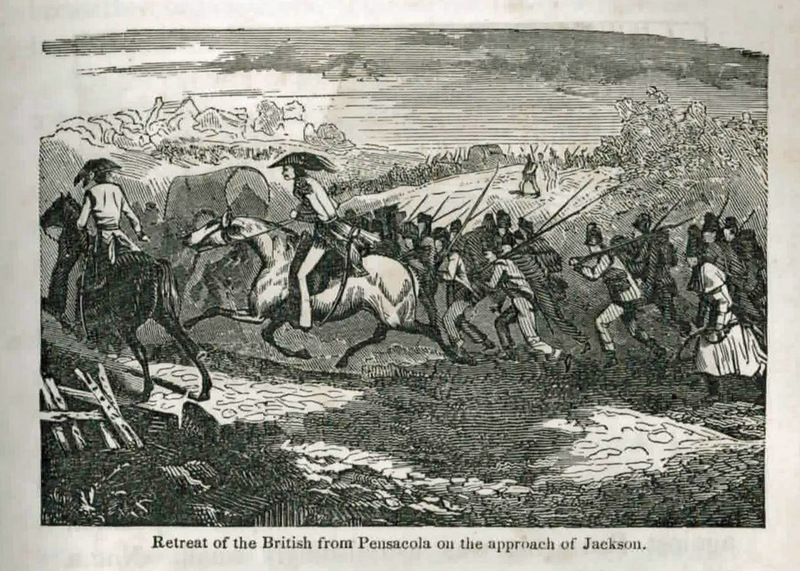 By disrupting the British plans to develop a staging area at Pensacola, Jackson put them at a disadvantage in their preparations to invade either at Mobile or New Orleans. 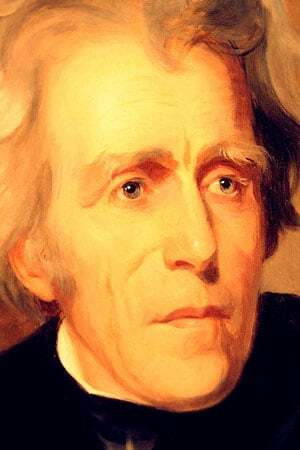 Having accomplished his goals in Pensacola (removing the British), Andrew Jackson and his troops left to march to New Orleans, via Mobile. 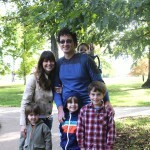 Jackson was quite ill on the march and claimed to Rachel that he did not eat for the eight days to Mobile. He wrote to Rachel, not only to tell her of the actions at Pensacola, but to tell her about the arrangements she needed to make to meet him in New Orleans! 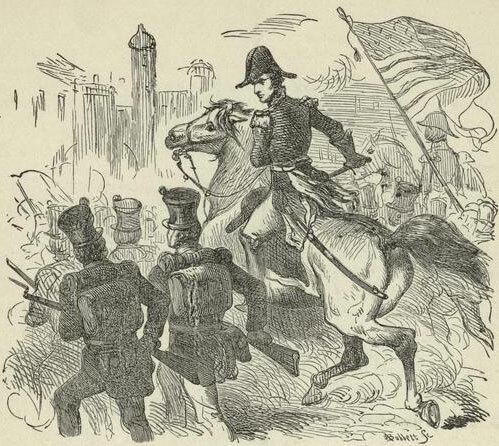 With those arrangements made, Andrew Jackson set off for New Orleans where he arrived December 2, to make preparations to meet the British Army. 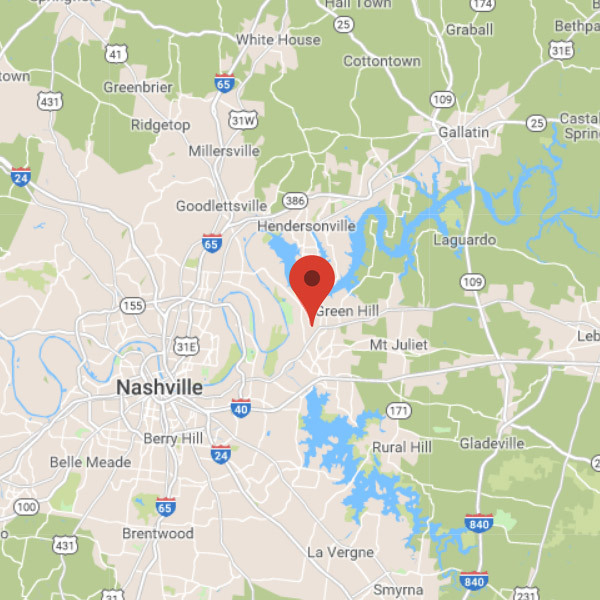 *Rachel and her party did not leave Nashville until January 25, 1815 “…All friends concurring in the opinion that they should not proceed until matters are settled below [in New Orleans]” (James Jackson to Andrew Jackson January 13, 1815). 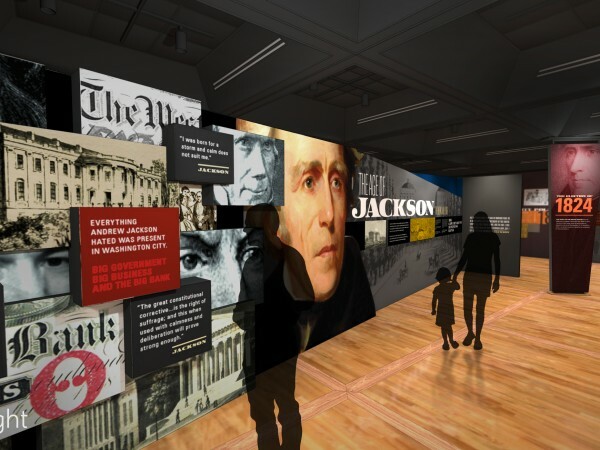 Two weeks later James Jackson wrote that the previous Tuesday’s (January 24) mail brought the news of the victory, and so Rachel and the party left on Wednesday (James Jackson to Andrew Jackson January 27, 1815). Some illustrations are from A Pictorial Life of Andrew Jackson by John Frost, published in 1847, which we have in our research collection. 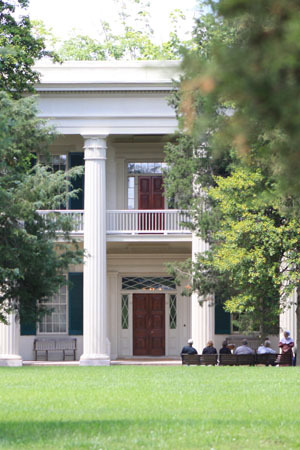 As always the Papers of Andrew Jackson are an indispensable resource.